someone nice picked up the little blank notebook on top for me in the $1 bin at target. i did some kitchen table journaling this morning. in this, the last month of my 50th year of life, i’m thinking about what i want for the 51st. instead of making a list of 51 things to do before i turn 52, i decided to make a list of 25 things. there comes a time when that list needs to be divided by 2 in order to still be fun and not annoying. i made some coffee and got out my giant christmas mug then set to work on my list. venice in winter. has it really been 355 days since i was there? 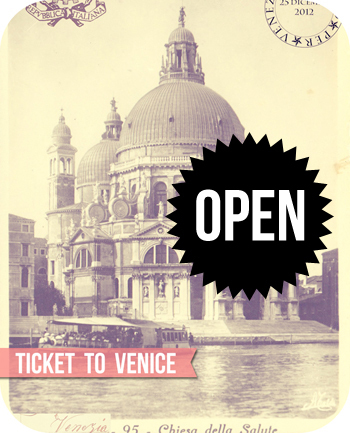 for this blurb book i incorporated trip reports i posted for ticket to venice. i wanted to see what it would be like to turn a blog into a book. i chose not to use the blog-to-book format they provide because i didn’t like the format. this is total cut & paste. instead of just having full photo pages i also had text pages. i kept the blog & blurb windows open side by side and went back and forth between the two. it wasn’t difficult, but it was time consuming. i ended up with 204 pages. to mix things up a bit i edited a few of the pics, like the one on the top right and the cover) with totally rad filters. i prefer mostly natural photos with a few supernatural thrown in for contrast. know what i mean, jellybean? i also added digital postcards i made and vintage postcards that i scanned, like the one below. as you can see my writing is neither reflective nor profound. just whatever shallow thoughts popped into my head. this morning didn’t lend itself to deeper thinking. that’s cool. simplemindedness is underrated at times. it’s sunday night. i’ll just be in port wenn for the rest of the night. hanging out with doc martin. scribbling more notes into my blurbs. hope you’re somewhere warm & cozy, doing something fabulous! Glad you’ve found Port Wenn. I’m waiting for series six. but Sherlock and Downton 4 both begin in January. I don’t go anywhere except to school and I don’t want to make a blurb book about that. If I had more depth perhaps but I’m all for simple-minded. the beauty of being an age, the list is yours and triple or half that list, one of my favorite things of aging. I also have to just say that your year of leave has been an inspiration to me and the way you have packed a big wallop in any one’s list of life! You have accomplished so much and seen so much and used your time to grow in exciting directions. Thank you for sharing this winding and wayward ride! I just held on and checked up on you everyday! I never knew where we might soar off to next, but I was always packed and ready to follow. Firstly…the BLURB books are amazing…chronicles of Mary Ann…I armchair travel through your escapades and thoroughly enjoy myself. Now that I know that you too are a Doc Martin fan (my fave show of all time…wish it was still being produced…sigh)…you are friend as well. So here I am in Grass Valley with snow on the ground and ice everywhere…very picturesque…can you let me know what your fave pens/paints/pencils/paper are? Of course you watch Doc Martin. I didn’t even need to ask. I would love to curl up and look through this book! Any plans to sell it on blurb? So amazing! And I think you have inspired me! I have tried to use Blurb before and have been so sad because I have found the blog to book format super confusing. I think I may try it this way and see how I feel! Yummy post Mary Ann looking at your creative exploits always makes me feel good inside, even on what has been a not so pleasant day over here. UGH. You made me smile and remember the grand adventure in Venice. Off to spend some time to re-acquaint myself with the videos. I am hoping to get my 2012 Eastern Europe trip done sometime next year with some kind of blog to book process – also probably just my own version. It still needs some percolate in the brain time. I’ve also thought about writing over some pages in my books but they aren’t simple layouts so I’m not sure I want to do that – yet. Here’s a good one for the dark nights…Jack Taylor, an irascible former member of the Irish Garda Síochána, an alcoholic, of course – private eye in Galway. Strangely enough some of it is shot in Bremen, Germany. Eye candy alert! But then you are quite consistent with posting delish eye candy! Love your Blurb books – the writing too. I need to take decent enough photos before doing a Blurb – that’s high on my list. At this point of my life though, my list is quite short….and I’m not going to analyze that too much! I’m a January girl too…makin’ my list. If I follow your formula I’ll have to come up with 28 1/2 things! Yikes! That’s a huge challenge…I just wanna take amazing photographs like you, that tell a story and throw in some simpleminded, shallow thoughts for good measure. love love love. this made my sunday evening. thank you for sharing. I hang out in port wenn, too. maybe we’ll run into each other and you can show me your blurb books. They are beautiful! Thanks for the shove to submit my books to Blurb…2 books of travel photography from trips I took to celebrate turning 50. May have to celebrate the anniversary of turning 50 each year from now on! 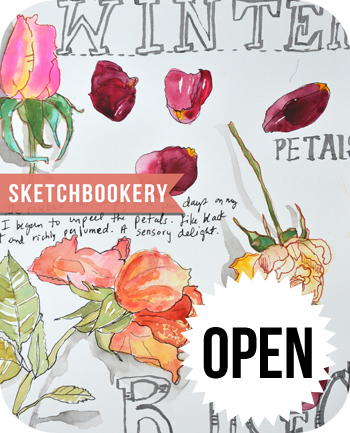 I love your Blurb books – especially writing in them. Don’t ya love Doc Martin! Those characters make me laugh out loud. Another good one is Monarch of the Glen. Oh my gosh, so good. LOL – “You are in a church. You are not allowed to behave indecently.” This is now repeating itself in my head. Curious. Like your idea of halving it – especially considering that I’m heading into year 64. Yikes! That could be a lot of stuff. I am always completely inspired by your posts. Thank you so much for sharing so openly and honestly. At least, that’s how it reads to me!! Hugs! !